We are Flight Life an apparel company inspired and dedicated to the world of aviation. Flight Life is not just hats and t-shirts it is a way of life, a way living, its what we do everyday. ""On the Wings of Eagles" a true story of a barnstormer who became the National Flight Instructor of the Year in 1981. amazon.com $3.99""
Thank you for the friend request. 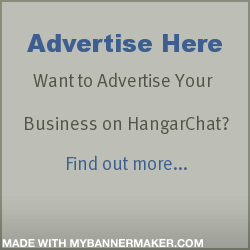 I look forward to connecting with you here on Hangarchat. Make it a Great Day!